The Mobilio-esque kink in the window was unexpected and in my frank opinion makes the car look too busy. A disappointing deaprture from Hyundai's clean design's. They could not avoid it as the body proportions are such that the rear seat is low slung (see the video of back seat). With a person sitting low they had to bring the glass level lower to his chin level else there is no point in having a rear window. They are correcting what was an issue with i20 and Grande i10. Agreed. I'm not underestimating it as a car but that engine is useless with such poor low end torque. Had I not liked it, it wouldn't have lasted with us for nearly 7 years and over 50K kms. That's what the point is. I've read his thread. But I guess you missed an important point, his Wagon R has a 1.1L 4 cylinder engine which was another gem. The new K series is nowhere close to that engine although bhp figures are better than the old 4 cylinder engine. That oldy was as good or maybe even better than Santro's engine. Sorry for post Mods. if poor low-end torque is your concern, then the new Santro is likely to disappoint you. I am going by the reviews on auto-portals. The old one was a gem on this count. As regards the older WagonR with an F10 engine, i also own one. It has far better low-end torque than the new WagonR, but the peppiness of the old Santro was better. Even the driver's seat of the old Santro was better for long drives. However the rear seat was bumpy for passengers. And the ol' Waggie has reclining and folding rear seats, which is why I bought the Waggie way back in 2001. Last edited by moralfibre : 17th October 2018 at 13:22. Reason: Back to back duplicate post. I wanted a test-drive, but not for purchase and I made it very clear to the top sales exec and he understood that since we're very faithful customers of the dealership.. but it seems that Santro customer test drives are at least a few weeks away. I can't imagine who'd book, leave alone buy a car without a TD. 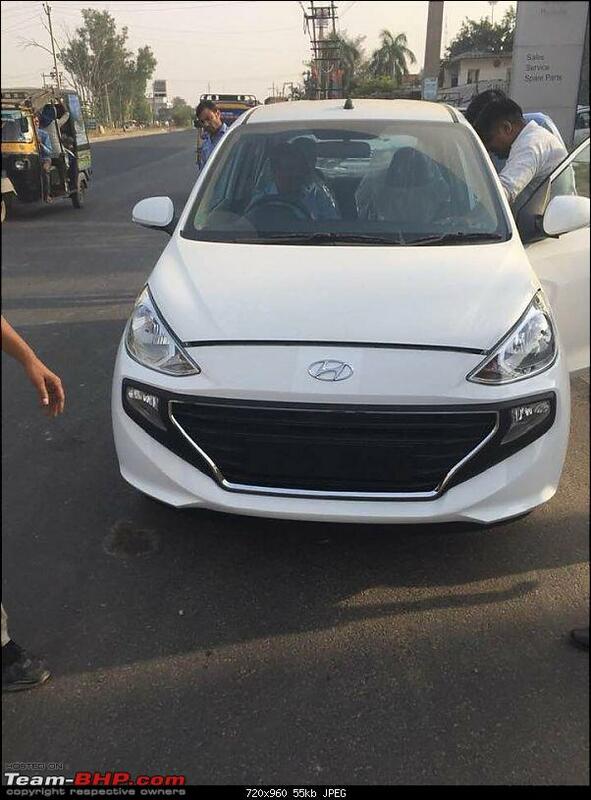 The hype for the Santro is rather strong this time around.. they are using many parts from Grand i10 & i20 in their budget car as well, steering for one and that steering won't look out of place in D segment sedans, except for that toyish silver finish made specially for the Santro. I can't help but feel if they had that styling sorted out 100%, including more refined, organic interiors, this would've demolished every budget car in sight. 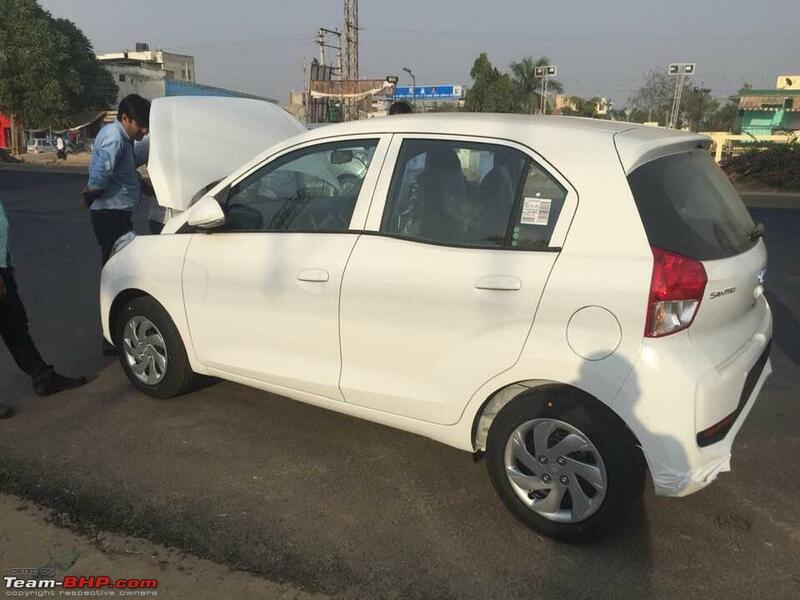 The Santro Xing simply killed it in terms of looks, people from executives to taxi wale drove it with great pride. This styling seems confusing, it is a fine amalgamation of character lines and kinks, sporty-touches but with overall family-car touches like downward flowing window lines and taller roofline.. it ends up being highly confused. 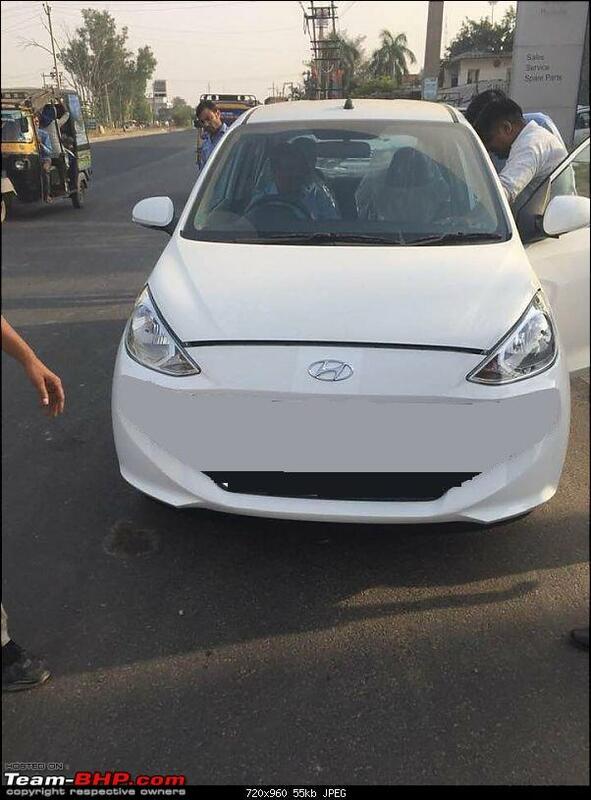 The top-end Asta trim of the upcoming Santro in White shade. Received on WhatsApp. pic 1 - is the hood popped or that's the normal shut line? 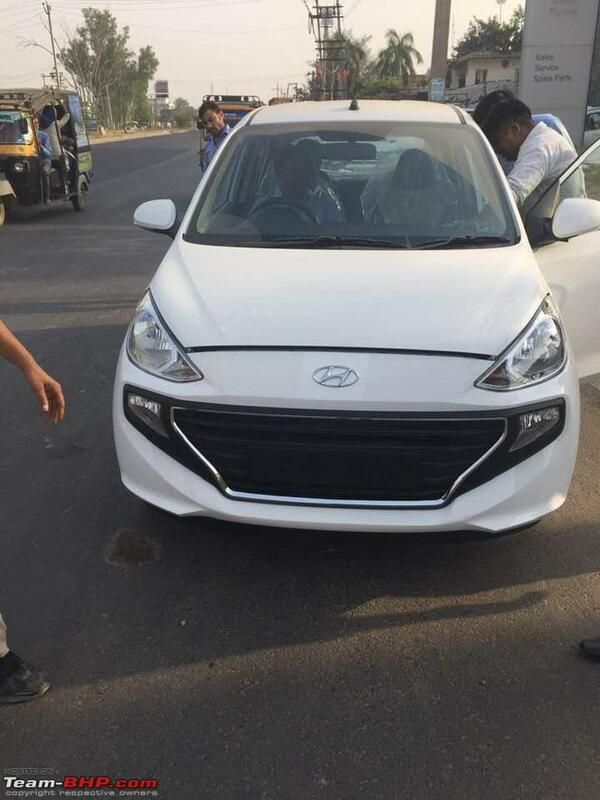 pic 3 - the backup camera is directly borrowed from the pre facelift Elite i20. Only 2 backup sensors? pic 4 - the creases which were prominent in the press release pics appear quite subdued. or is it the effect of a light color? pic 5 - compared with the touchscreen and steering mounted controls, the re-circulation slider seems like it is from the last decade. It's like Hyundai on a platter with a hint of Tesla. 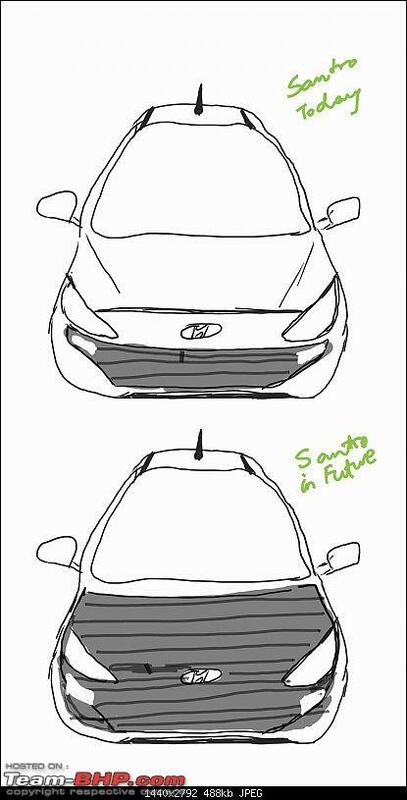 Hyundai is known to make good designs these days. Even the EON for that matter looked nice in that segment. But the new Santro looks wierd, more like a Datsun! The wide black grille was so unnecessary. The interiors on the other hand looks great, considering that is essentially a segment below the i10 and the likes. 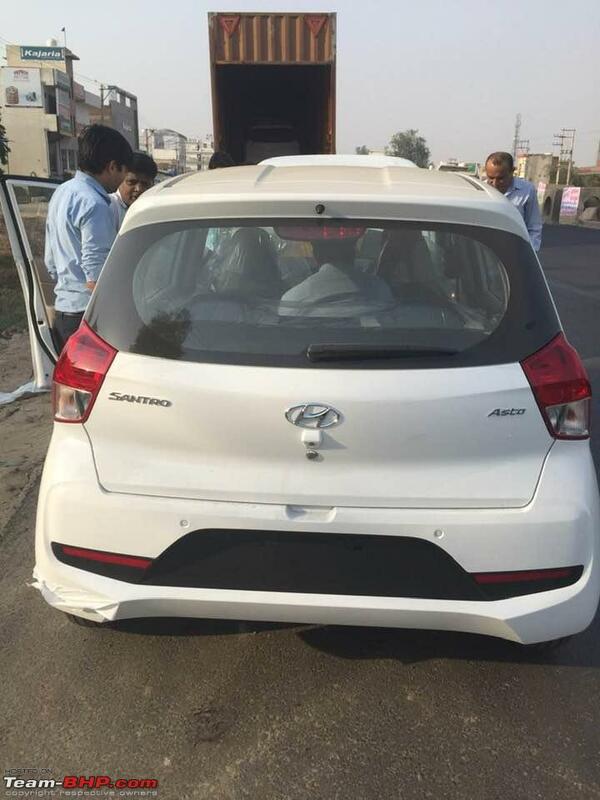 Looking at the pics (both interior & exterior), I do not see too much of a difference from the i10. 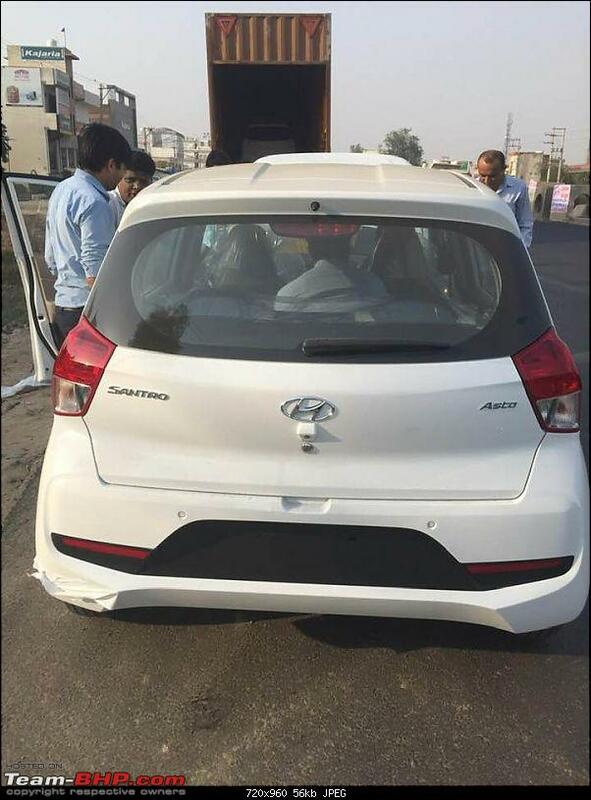 IMHO, if they wanted to launch a facelifted i10, this would be it. Infact, the side profile is too similar and I had to take a very careful look to make out the minor differences. 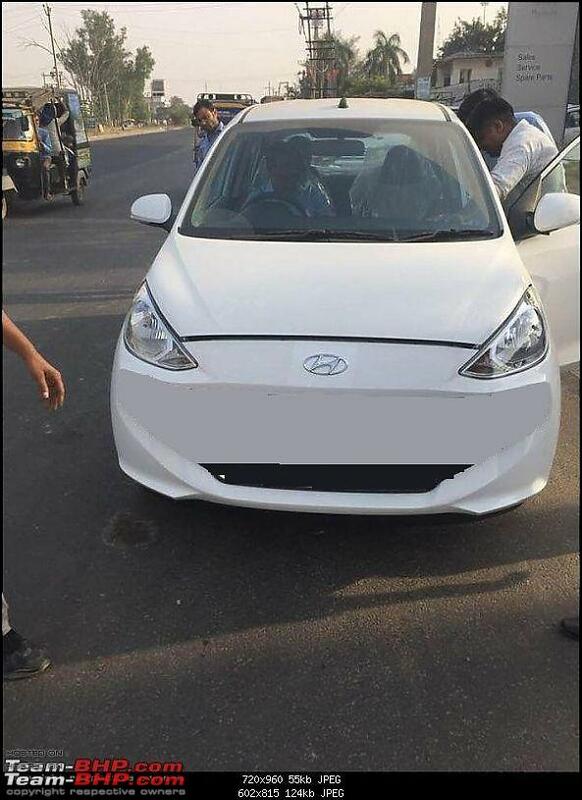 Might be that Hyundai did not want to disturb Grande-i10 positioning with a facelifted/new-gen i10, and hence reused the name Santro. 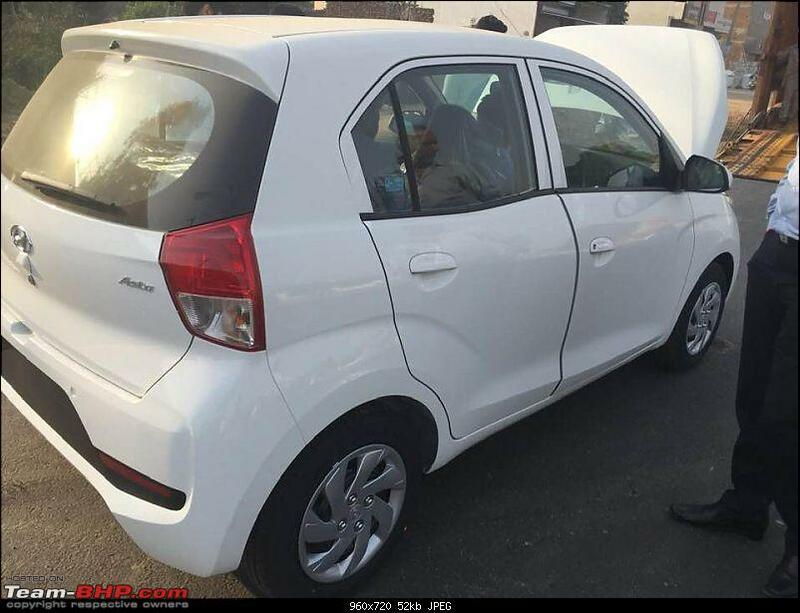 Come on guys, first gen Santro was an ugly duckling anyways (no offense). 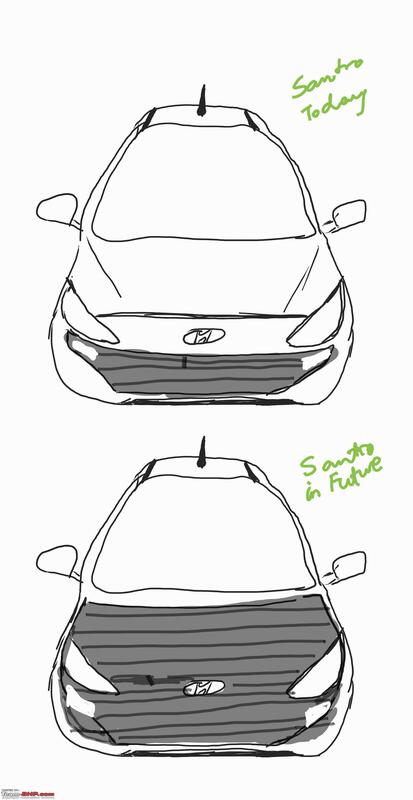 How could Hyundai's engineers have, in true sense, brought the old Santro back if the new car was a looker! Top-End Asta trim should've had a Climate Control system. Anyways a good looking car as per my dad. And he will buy it for himself just for the 'Santro' moniker. And Of-Course I eould not let him buy until the Official Review is down. I personally fee the car looks neatly proportioned, does not look ungainly tall despite having excellent head room.The cuts and creases actually blend in nicely without standing out like a sore thumb. Reasonably long wheel base and a wide track with minimal front and rear overhangs gives the car a nice squat stance. I think this car will look bigger than it is in person. Top end Asta is the variant to go for simply because i would never compromise safety and dual airbags are only available in Asta. 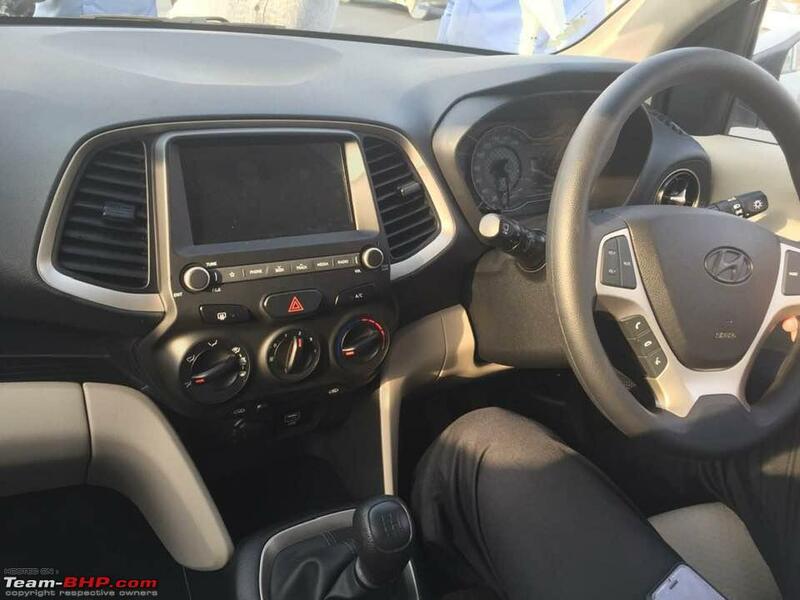 The car is so neatly packaged that the interior space and boot appears to be at least as much as new generation Swift. Sad part is that dual air bag option is only available in top variant and absent if you opt AMT. This is a serious oversight. This is the issue i have today not just with Hyundai. Tiago has ABS only in the top most variant. These days it is unacceptable to launch a car irrespective of the segment, without making ABS and Dual airbags mandatory on all variants. Sun Roof and Touchscreen do not save lives, ABS and Airbags do. Last edited by needforspeed88 : 18th October 2018 at 16:04. 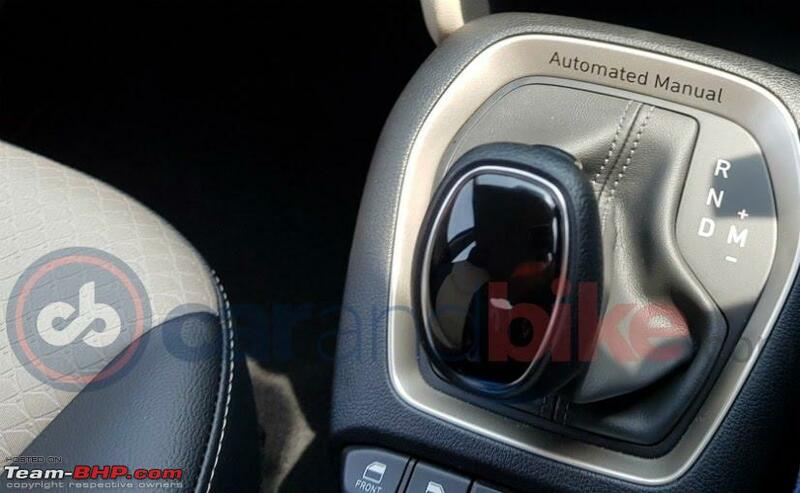 I doubt anyone has noticed, the Manual Gear system in AMT is in opposite direction from Maruti Cars. In Maruti AMT Cars, we need to push the lever forward to downshift and backwards to upshift. In Santro AMT it is vice versa. Last edited by jaaz : 18th October 2018 at 16:38. I booked a Marina blue AMT version (Magna) today. Its for my father, and we don't care much about the looks. As long as it an automatic, with a decent engine, with ABS (I wish I could get dual airbags too), and at an appropriate price - we will be happy! I understand that the prices will be declared on 23rd Oct. Any news on when the deliveries will start?